Fans of Karen Cushman's witty, satisfying novels will welcome Meggy Swann, newly come to London with her only friend, a goose named Louise. Meggy's mother was glad to be rid of her; her father, who sent for her, doesn't want her after all. 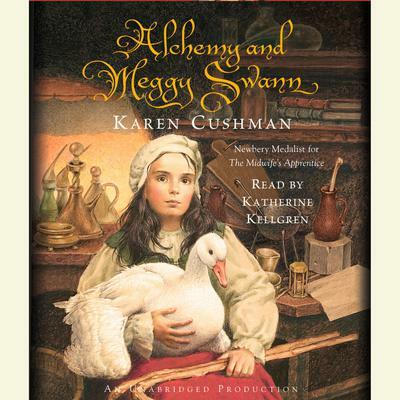 Meggy is appalled by London,dirty and noisy, full of rogues and thieves, and difficult to get around in—not that getting around is ever easy for someone who walks with the help of two sticks.Just as her alchemist father pursues his Great Work of transforming base metal into gold, Meggy finds herself pursuing her own transformation. Earthy and colorful, Elizabethan London has its dark side, but it also has gifts in store for Meggy Swann.